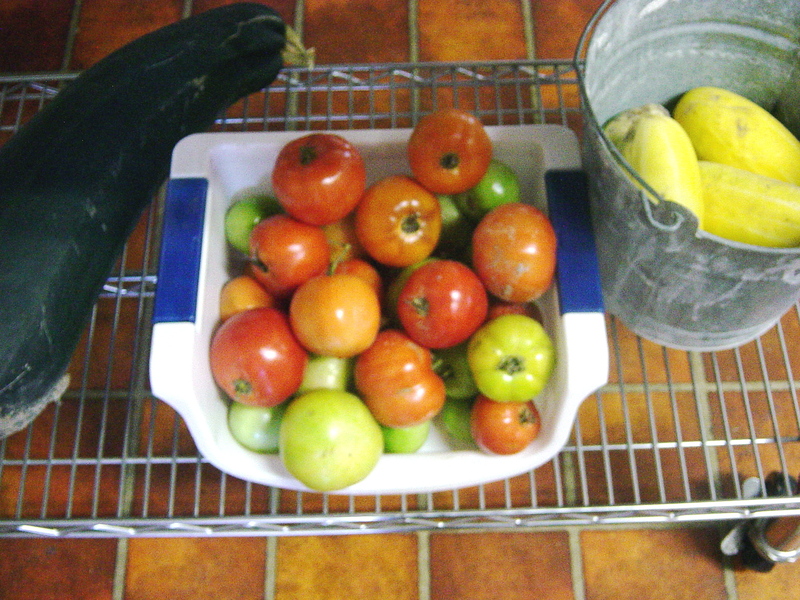 It the time of year when I have to freeze a quart or two of tomatoes every day, and pick up a bucket of apples, or some will go to waste. 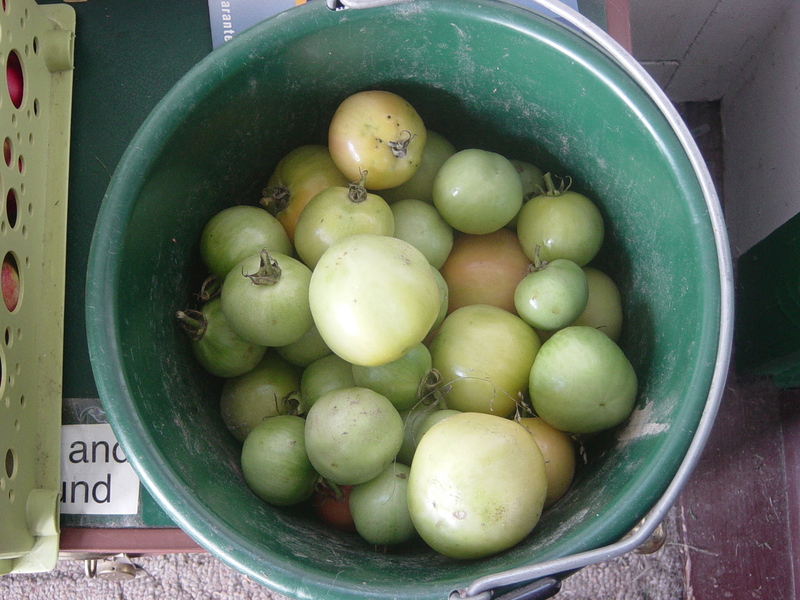 It’s also time, if I’m going to taste fried green tomatoes in 2010, I had better make them now, before they all ripen. Dice up some tomatoes, crush up a bunch of saltine crackers, and mix well. Add fresh herbs if you have them. Parsley is recommend. Mix this up and put it in a greased casserole. Top with parmesan cheese, dot with butter, and bake at 350 until you think it’s ready. Just use your common sense on proportions. You are currently browsing the The Blueberry Tales weblog archives for September 2010.